Luxury hotels offer everything these days – from massages with cellists to stargazing on tropical islands. But, for film aficionados, there’s no better pleasure than sitting on your sofa with a Bogart flick or powering through a Capra marathon with a box of tissues. 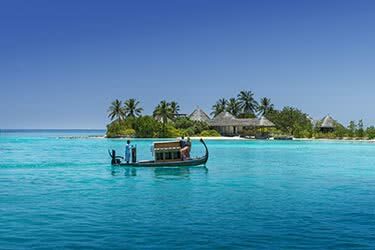 For even the most immovable movie buffs Asia’s finest resorts have catered to couples with the coolest movies experiences anywhere on the planet, be it on private islands in paradise or luxury resorts in the desert. 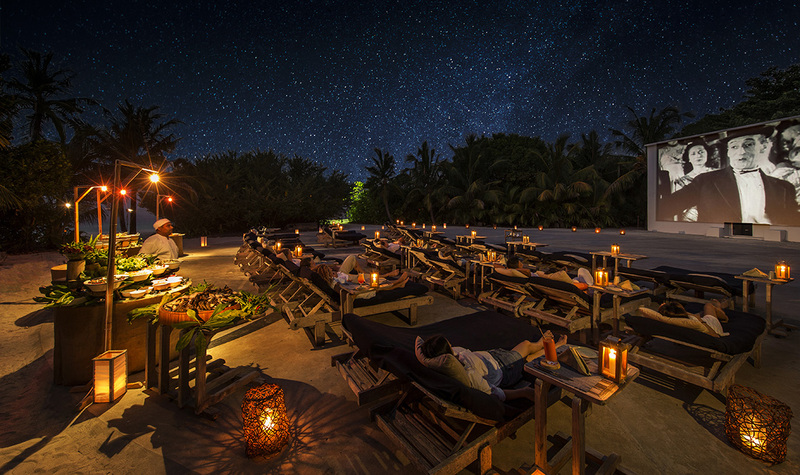 ABOVE: The Cinema Paradiso at Soneva Fushi. Tired of people making noise in the movie theater? Chewing and slurping. Well, you could go to the drive-in theater or watch from home. 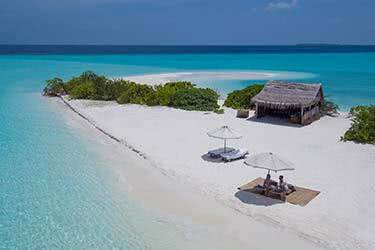 Then again, you can always fly to the Maldives and over to the world-class Soneva Fushi or Jani resort by seaplane. Situated on private islands, accommodations at these exclusive sibling resorts ensure the utmost privacy – ridding all memories of cinema sound offenders. Fair enough, that’s a little drastic, but the exclusivity offered from any of the resort’s eco-friendly luxury villas is second to none, and the views of sunsets over the Indian Ocean are essentially real-life manifestations of your computer’s default desktop background. 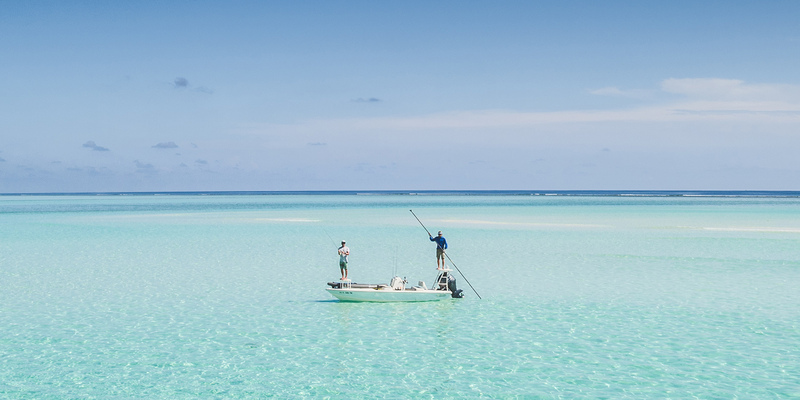 ABOVE: Soneva Jani promotional video. 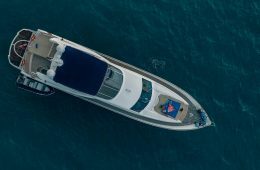 Not many movie experiences can also boast villas are fitted with personal swimming pools, standalone baths, and waterslides that shoot down into the blue waters of the pristine lagoon below. 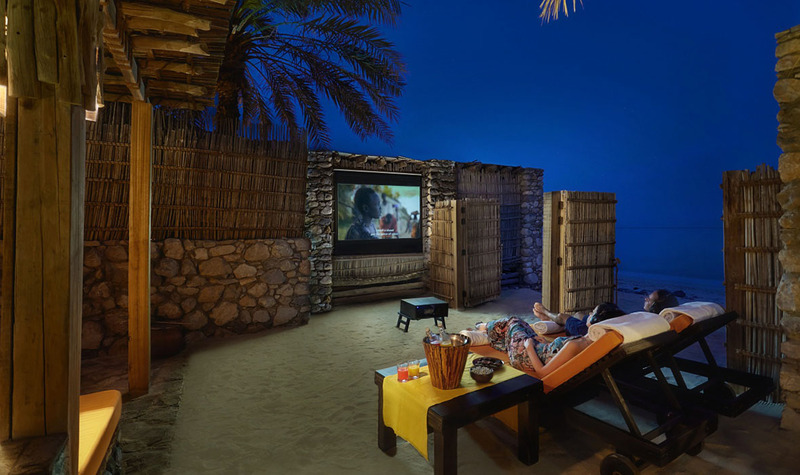 Sunbathe and relax as one does in the Maldives, but come nighttime the resort is fitted with a state-of-the-art outdoor movie theater – a facet for which Soneva is known. So lean back and pop in the Bluetooth headphones. There’s no slurping in the background, just gently rolling waves. 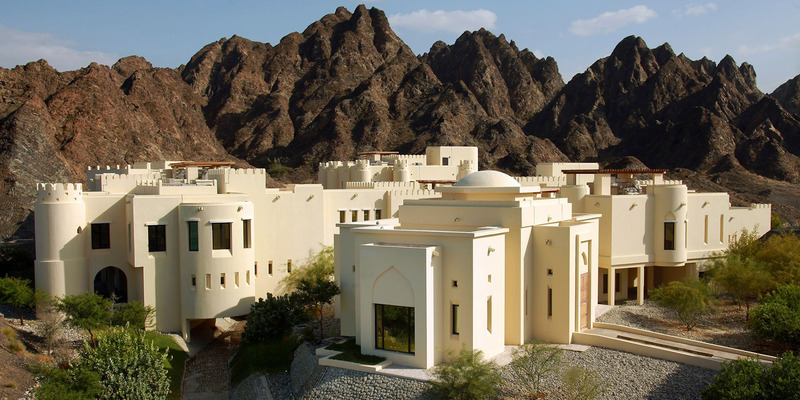 Isolated between rugged mountains and against a pristine beachfront lies the Zighy Bay Six Senses resort. Two-hours away from the Dubai International Airport, guests can reach this remote patch of luxury by 4×4, speedboat, or even paraglide down into it from the surrounding mountaintops (seriously). Whatever entrance, all seem reminiscent of a Bond film, replete with a tailored tuxedo and vodka martini. The resort’s 82 villas and suites continue to play on that theme with opulent furnishings, spacious interiors, and an abundance of pools. 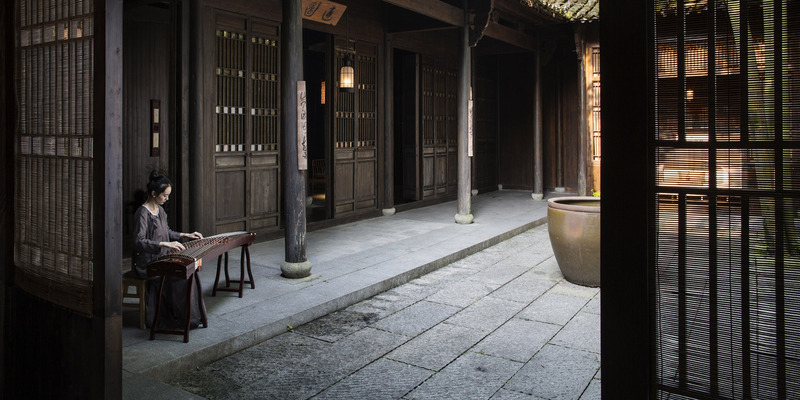 The main difference is that while 007 is concerned with saving the world, guests of this remote Six Senses Resort need only focus on their relaxation, and come nightfall the resort’s Cinema Paradiso may provide just what they need. 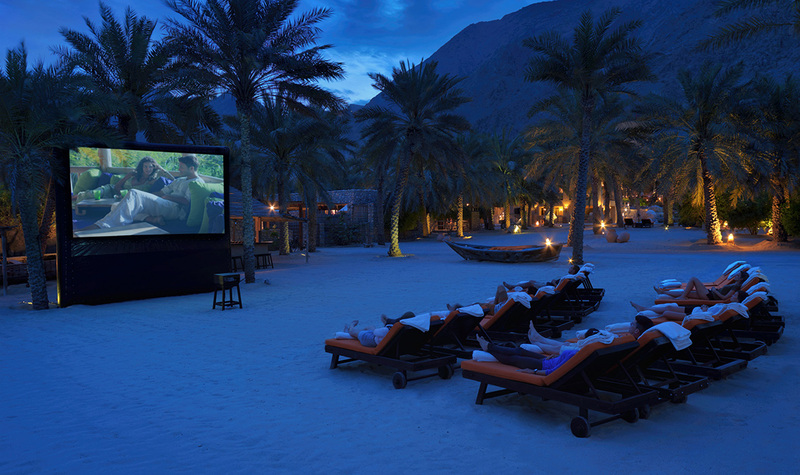 ABOVE: Intimate film experience at Six Senses Zighy Bay. 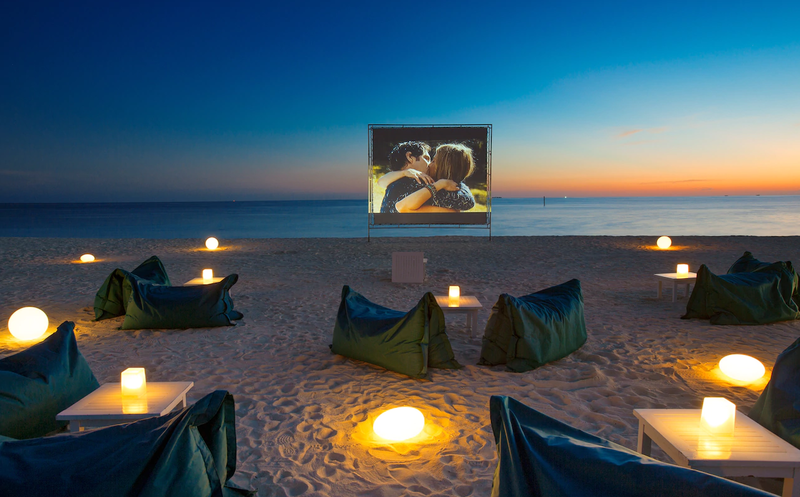 This exclusive cinema shows a mixture of classic and contemporary movies on the beach. 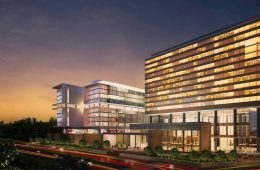 Beneath a blanket of stars, guests can lean back in luxurious recliners and enjoy the film while the staff serves up gourmet popcorn, ice cream, and various drinks. Perhaps the stars on the screen can offer guests with some inspiration for their next dramatic paragliding entrance. 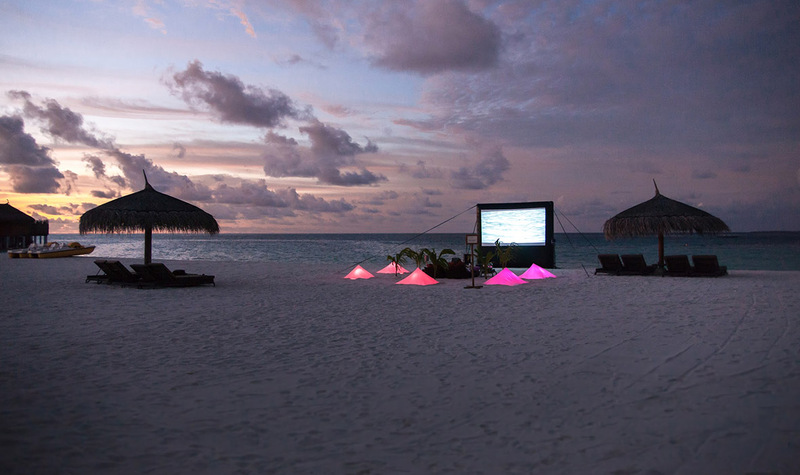 ABOVE: Velassaru shows predominately classic films at its Alfresco Beach Cinema. 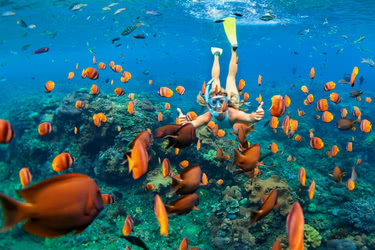 The Maldives are renowned for the deep, rich colors that call it home. From the intense turquoise of its waters to its lush green vegetation. White sand beaches and vibrant sunsets. 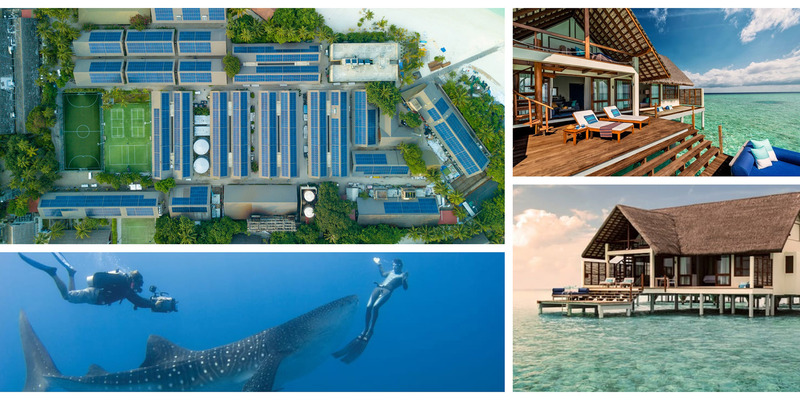 Whether by diving excursions or simply lounging around a beach villa, such sights are immaculately put on display at the luxurious Velassaru Island Resort. ABOVE: Velassaru Island Resort promotional video. That said, as if in response to the seemingly endless visual assault, the resort decided to offer something of a respite from the endless colors by showing predominately classic, black and white films at its Alfresco Beach Cinema. Beneath the endless layers of stars visible from the remote island, guests are invited to sink into designer bean bags and fully immerse themselves in a cinematic experience. Cocktails, popcorn, and sweet treats are on hand. For those that never grew tired of the region’s striking colors in the first place, the occasional post-Wizard of Oz flick is screened as well. 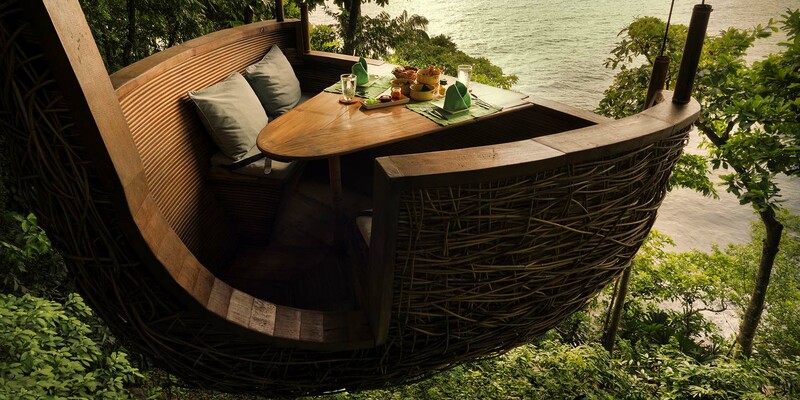 ABOVE: The luxury Soneva Kiri resort is tucked away in a verdant corner of Koh Kood Island. 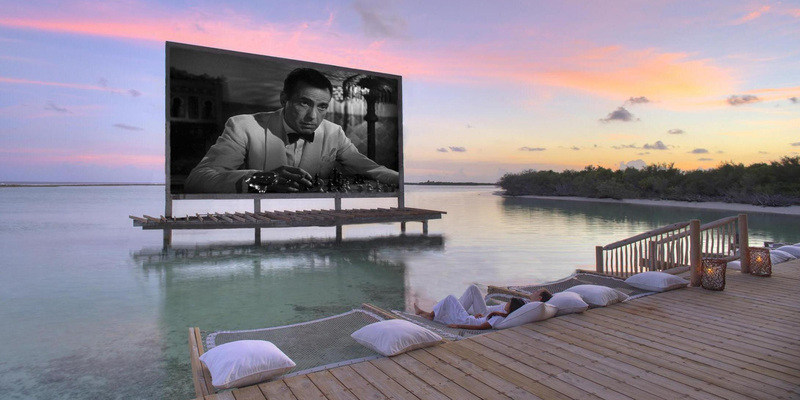 If you haven’t guessed by now, Soneva loves movies. The luxury Soneva Kiri resort is tucked away in a verdant corner of Koh Kood Island and offers expansive views of the Gulf of Thailand. 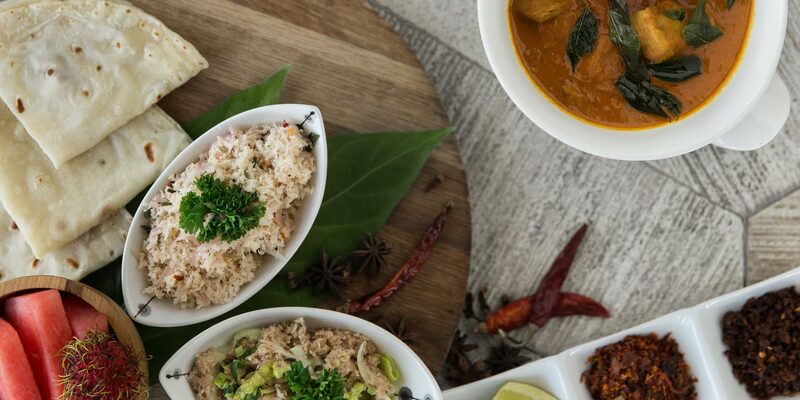 While most of the resort’s villas and facilities look out across the private beach, some are nestled within the lush mangrove forest, such as the Cinema Paradiso. Set among an inland lagoon reservoir, a tranquil body of water separates the cascading seating area from the huge, overwater projection screen. Guests are invited to enjoy an assortment of gourmet comfort foods and creative cocktails from this cozy, jungle-enshrouded outdoor cinema. The permanent structure pays homage to the golden days of Hollywood, playing classics that espouse elegance and beauty – setting the stage for romance in this tropical paradise. ABOVE: The private “Cinefushi” viewing experience. 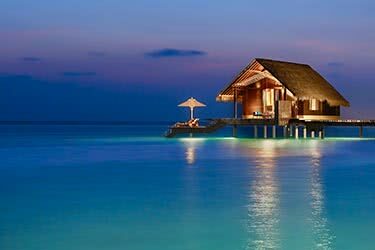 Set on its own secluded island in the Maldives, the Constance Moofushi luxury resort is the perfect destination for luxury travelers wanting to get away. 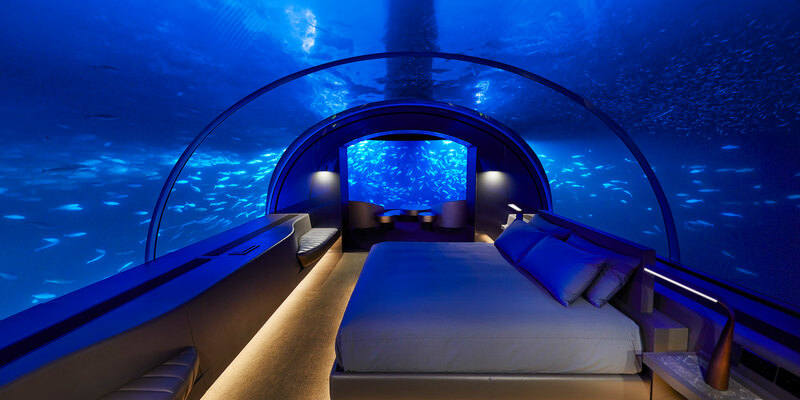 Whether they stay at one of the resort’s beach, water, or expansive senior water villas, their privacy is ensured, and such serenity extends to guests craving an unforgettable cinematic experience. Upon request, the private “Cinefushi” viewing space can be set up for interested guests. The intimate setting is atop soft, powdery sand and complimented by the sounds of waves gently lapping against the shore. Guests are invited to select from over 100 films that range from timeless classics to contemporary thrillers, comedies, and even horror films. The private space is fitted with loungers and beanbags and a diligent staff is on hand making sure guests get their fix, whether that be popcorn and ice-cream or sparkling wine and beer. The experience is private, immersive, and sublime.